Chomsky or Žižek: can’t we have both? 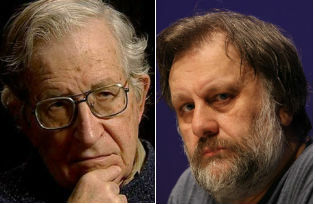 The sparring match between the two began when Chomsky was asked to comment on Derrida, Lacan and Žižek. Without mincing words, Chomsky derided their work as empty posturing, juxtaposing their style and methods against the “empirically testable propositions” of the hard sciences.